2013-09-20 What is the difference between good and excellent? You will find out all about it in this new book written by Gert-Jan van Schaik and Jaco Friedrich. 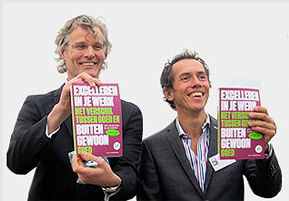 Performing excellent at work: read up on it on the books website.